Each of the slender, pointed petals is gently ruffled, and the colouring is a sublime mix of pink, creamy white and green. 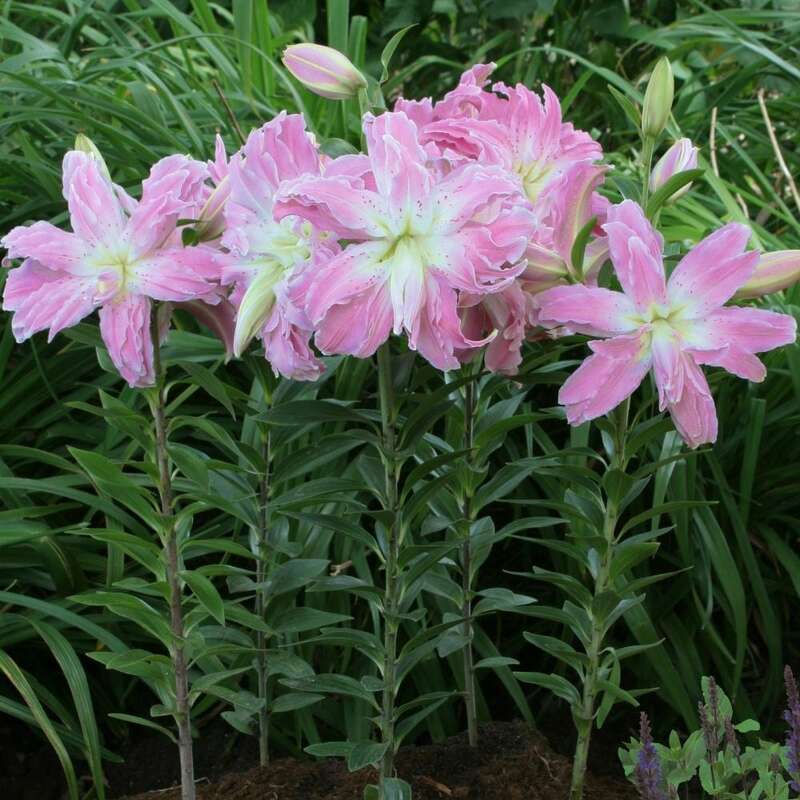 A fully double oriental lily 'Lotus Elegance' is brand new - and its flowers are quite extraordinary. Said to flower over several months, it will add pizazz to the summer border.